Water Poisoning, also known as Water Intoxication or hyperhydration, is a medical condition that often occur due to over-drinking of water. Usually people take water as a toxin remover of the body. Water hydrates our body and blood and our kidney filters the toxins in blood and cleanse them out through urine with the help of water. But somehow if we get the overdose of water the over-hydration can harm us. Betterhealthfacts.com will put some light on this topic. You must read it if you know anyone who drinks water like a maniac just to lose weight or to cleanse his/her body. What is Water Poisoning / Water Intoxication ? Our body have certain salts in our blood stream to do various communication activities within body. Our brain need them most to communicative with different organs and and make our nervous system properly. A certain level of concentration of these salts in necessary. But when we drink too much water, the concentration decreases. 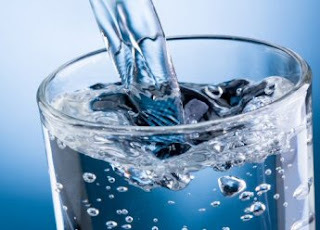 However in such case our kidneys try to flush out extra water but some salts also flush out with it, and still if we keep drinking the water then we reach a level where salt concentration comes at a level where we call it Water Poisoning or Water Intoxication. These symptoms can cause death within a day or two. Mild symptoms of Water Poisoning can be treated by restricting intake of Water. But is severe cases special treatment is necessary. It may include diuretics to increase urination and vasopressin receptor antagonist (VRA). How much water can cause Water Poisoning ? Drinking around 2 liters of water per hour for a few hours can cause Water Poisoning. Can Water Poisoning cause death ? Yes, if symptoms are not diagnosed and proper treatment is not given then it can easily cause death. Which activities can cause Water Poisoning ? All those activities which include drinking lots of water with no or little sodium intake can cause Water Poisoning. People with low body weight are more prone to it. Here are a few activities that can cause Water Poisoning. Water Drinking Contests: Several people have died as a result of such contests. Some of them drank just 7.5 ltr of water in a few hours. Water Diet: Some fool people go on water diet to lose weight, but it can easily cause water poisoning and they take the symptoms as a result of low calorie diet. Long term Physical Activities which needs drinking water: Some marathon runners face this problem as they drink lots of water, which don't have sufficient sodium in it. Most of the commercial drinks don't have enough sodium, they have just added sugar. Mental Disorders: Some mental disorders can also make a person drink upto 15 liters of water in a day. Apart from the above some inhuman activities can also cause Water Poisoning. Child Abuse with Water: In 2002 a 3 year old girl died as her baby sitter forced her to drink 2.8 ltr of water within a few hours. Drinking water to hide Drug Abuse: Some people try to hide drug abuse by drinking lots of water the day before testing in order to flush out the drug. Sometimes it cause water poisoning. Drinking beer: Beer have very low sodium content. In 2012 a man drank 10 ltr of beer and got affected by water poisoning. Suicide Attempt: Some people use this trick to attempt suicide. Are there any long term side effects after treatment of Water Poisoning ? Yes, there are a number of side effects. It depends on the severity of water poisoning from which you recovered and how much harm it has already done to your body and brain. Here are few side effects of Water Poisoning that are basically caused due to permanent brain damage. Persistent vegetative state: A state of being unresponsive to psychological and physical stimuli. Cerebral palsy: A state of uncontrolled muscle movement. Gait abnormality: Its an abnormality in Walking. What is the maximum limit of drinking water ? One should never drink more than 1.4 ltr of water in an hour. An adult on average diet should not exceed drinking 11 ltr of water in a day. If you are on fasting (or low sodium diet) then don't go above 5 ltr of water in a day. As we say in most of our articles that a proper balance in necessary to live a healthy and long life. Same thing applies on water. Drinking too less and too much, both can make you sick. So drink plenty of water, but not too much and balance it with your diet as well. Note: Water Drinking competition often cause Water Poisoning. So don't fall prey to such contests just to earn few extra bucks. It may cost your life.